This is the remarkable story of Tulloch, the virtually unwanted yearling who rose to greatness with the support of Australia’s most flamboyant trainer and a contrasting dogged owner, who often clashed about what was best for their horse. It’s more than a story about a great racehorse—one of the best to grace Australia’s turf and often mentioned in the same breath as Phar Lap and Carbine–who overcame a near-death illness to return triumphantly to racing after two years. It’s a story about the characters behind the scenes—his trainer, the legendary Tommy Smith, his owner Evelyn Haley, the jockeys, such as George Moore and Neville Sellwood, who rode him and the his strapper and track rider, Lem Bann, a song ’n dance man who whistled his way into Tulloch’s heart. Author Ken Linnett has written the first book about one of the icons of Australian racing, and along the way debunks some of the myths, including the controversy surrounding why Tulloch missed the 1957 Melbourne Cup, which looked to be at his mercy. Linnett goes into depth about Tulloch’s wonderful career—55 starts for 36 wins, once unplaced—which begins with his legendary clashes with another star of the time, Todman, right through to his final start, an emotion-packed win in the 1961 Brisbane Cup (3200m), lumping 9st 12lbs (62.5kg). 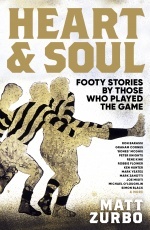 Linnett also brilliantly captures a changing time in Australian racing, including the introduction of the Totalisator Agency Board (TAB), as racing battled to hold is place as the nation’s number one sport. However, nothing brought people to the track more than a champion racehorse, and from the mid 1950s to the early 1960s, that horse was Tulloch. Lem Bann, Tulloch’s strapper, joined the boys at RADIOTAB’s breakfast show to discuss his part in the life of Tulloch, and his contribution to Ken Linnett’s story of the great horse. Article published in the Sunday Mail, Brisbane on October 22, 2017. 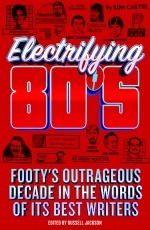 Author Ken Linnett was interviewed by Kevin Bartlett and Dr Turf (John Rothfield) on KB’s morning show on SEN 1116, in Melbourne. 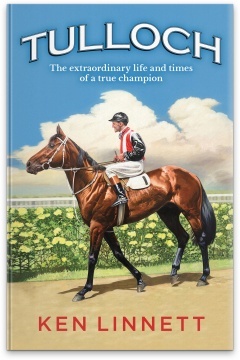 KB declared Tulloch, the book: “A great book on arguably the greatest horse who’s ever raced in this country. 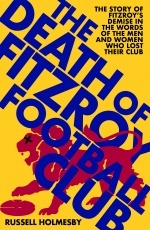 Anyone who loves horse racing, or loves sport should get this book."